A native of Hong Kong, I grew up drinking tea instead of soda. Tasting different teas after each meal, together with my parents and grandparents, was a sacred family ritual (my grandad turns 102 this year!). Everyone around me drank tea like water – all day long. It wasn’t until many years later that I learned just how much of this culture I had taken for granted. After moving to the US in my teens, life got intense. Between getting into top schools and grinding in finance jobs, I abandoned the health rituals of my youth. In my 20’s, I developed one medical problem after another and had 3 hospitalizations involving surgery. The last one left me with an infection requiring 3 months of intravenous antibiotics to recover from! I can’t tell you the number of times I left a doctor’s office with a package of meds, believing that they were the prescription for health. Time and time again, they failed me. I knew something needed to change, and I vowed to take back control of my health. This was the beginning of a 10-year health quest that took me around the world. I journeyed from the mountain ranges of Tibet to the heart of Indonesia and the Chinese diaspora in the Pacific Northwest. Along the way, I studied and trained with the most accomplished Eastern healers and masters of plant medicine, qigong and tai-chi, in order to learn how to heal my broken body. As I began applying the principles of plant medicine and qigong that they taught me, I started to regain energy and vitality. What I learned from these masters healed me physically, and for the first time in my life I also felt emotionally and spiritually energized. I have no doubt that what I learned saved my life. In the foothills of the Himalayas, I stumbled across a brilliant “innovation” that was in fact a 1300-year old process for turning tea into medicine. Cha Gao is a tea paste that has been used by the indigenous tribes as a wellspring of vitality and energy to withstand the rigors of life in this remote and mountainous region. Tea is such a unique superfood because it is the most natural source of polyphenols, which work together with l-theanine to create a powerful kind of plant medicine. Polyphenols are antioxidants that fight against free radicals in your body and neutralize the many threats they pose. Tea antioxidants are so effective, they’re able to eliminate and potentially reverse the oxidative damage your body is subjected to every day. L-theanine is an amino acid found in tea that has tremendous calming mental benefits. In studies performed in Japan, researchers discovered that l-theanine helps the brain generate alpha activity, which is typically experienced in the early stages of meditation. It helps us stay calm, collected and focused in stressful situations, and it can boost mental performance. Tea is actually a potent prebiotic. Prebiotics encourage the growth of good microorganisms in your digestive tract, which in turn contribute to good health. And recent studies show that both green and black tea provide these prebiotics. (1) Plus, ginger is well-known for its ability to soothe any tummy discomfort, so ginger tea can work great after a big meal. When you need a calorie-free pick-me up in the early afternoon, I can’t think of a tastier solution than a steaming cup of aromatic Earl Grey Tea. As mentioned above, l-theanine is an amino acid that regulates neurotransmitter and brain activities. (10) Green tea in particular contains high levels of L-theanine and has been demonstrated to produce an anti-stress effect. It does this by blocking certain receptors in your brain and actually inhibiting cortical neuron excitation. (11) In other words, it helps your brain chill out. So, just how much tea should you drink? That’s an impressive list of benefits. So what’s the number one reason why people who start drinking tea don’t notice any benefits? Quantity! Harvard doctors recommend a minimum of 3 cups per day in order to experience health benefits. Clinical studies have shown that a minimum to 300-500mg of catechins per day are necessary to see any results. That actually translates to 3-5 cups of tea per day. In other words, you can’t just drink one cup of tea every day and expect to reap any noticeable benefits. When’s the best time to drink tea? The immediate effects you feel from tea are heightened energy and a boost in digestion. Accordingly, the best times to drink tea are whenever you are feeling tired, sluggish or full. For most people, this would be first thing in the morning, during/after lunch, and dinner. BEWARE! Hidden pesticides, GMOs and chemicals in your tea. 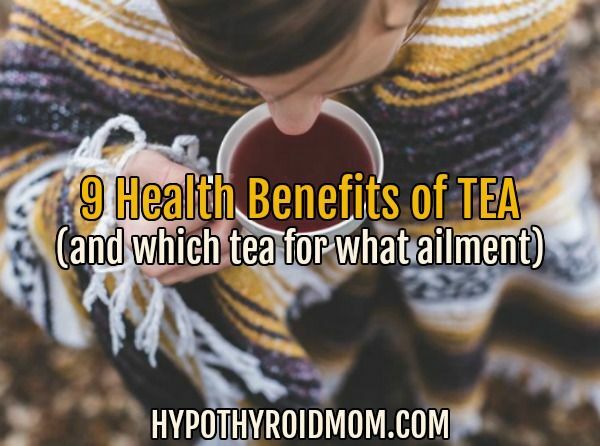 Of course, all those amazing health benefits won’t mean much if your tea is tainted with toxins! Did you know most traditional teas are sprayed with pesticides to protect their leaves from insects and infection? These chemicals get in the soil and also wind up in the tea you drink. Research has shown that 77 percent of the teas in the U.S. would fail European Union pesticide import standards (24), with test results revealing traces of endosulfan, a pesticide linked to impaired fertility (25). Yikes! In the US, a large number of conventional tea brands also contain artificial flavoring and GMOs. It has been reported that tea companies use genetically modified derivatives like modified corn and soy lecithin, yet fail to display this information to consumers! It’s not just tea leaves you need to worry about. Tea bags can also be problematic, as they are often bleached in chlorine. That chlorine stays with the bag and becomes part of your tea when you brew it. Not exactly what you wanted to drink, is it? If you want to make sure the tea you drink isn’t polluted with chemicals, you need to do your homework. I created this infographic to sum everything up and included a list of references at the bottom of the article. 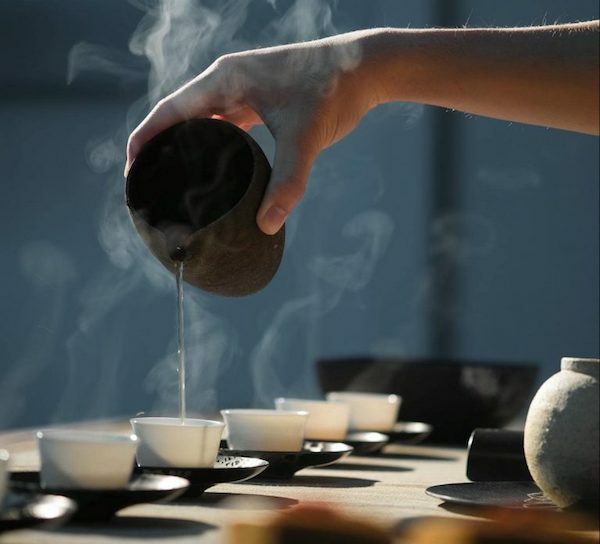 The health benefits of tea inspired me so much, I’ve spent years collaborating with leading tea farmers and tea masters to integrate ancient tradition with modern science. If you do your research, you’re likely to come across Pique Tea. It’s the world’s first Cold Brew Tea Crystals. We source the highest quality ingredients from around the world and are the only tea company to triple toxin screen for pesticides, heavy metals and mold. We use a revolutionary cold brew crystallization technique that eliminates all heat in the process, plus it extracts AND preserves the maximum antioxidant capacity of tea leaves. 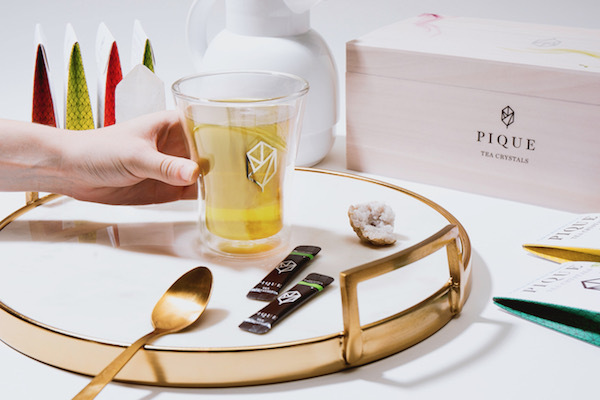 Pique has up to 12 times the polyphenols of other teas (verified by 3rd-party testing), meaning you get 12 times the health benefits. The tea crystals are also incredibly convenient, since you can dissolve them instantly in water anywhere, anytime. And just because they’re instant doesn’t mean they don’t taste good. Pique Tea has racked up accolades, including 3 Gold Medals at the Global Tea Championships 2018 — the first tea company ever to win 3 Gold medals in a blind taste test done by tea professionals. Zheng, Xin-Xin, et al. Green tea intake lowers fasting serum total and LDL cholesterol in adults: a meta-analysis of 14 randomized controlled trials. The American Journal of Clinical Nutrition. 2011 Aug; 94(2):601–610. Bahorun, T., et al. The effect of black tea on risk factors of cardiovascular disease in a normal population. Prev Med. 2012 May;54 Suppl:S98-102. Hertog, M.G., et al. Dietary antioxidant flavonoids and risk of coronary heart disease: the Zutphen Elderly Study. Lancet. 1993 Oc 23;342(8878):1007-11. Persson, I.A., et al. 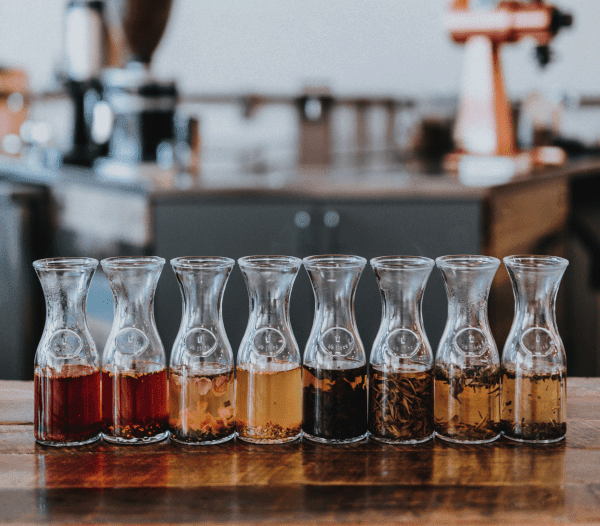 Effects of green tea, black tea and Rooibos tea on angiotensin-converting enzyme and nitric oxide in healthy volunteers. Public Health Nutr. 2010 May;13(5):730-7. Yoto, A., et al. Effects of L-theanine or caffeine intake on changes in blood pressure under physical and psychological stresses. J Physiol Anthropol. 2012;31(1):28. Pan, H., et al. Mechanisms of Body Weight Reduction by Black Tea Polyphenols. Molecules. 2016 Dec 7;21(12).pii:E1659. Nagao, T., et al. Ingestion of a tea rich in catechizes leads to a reduction in body fat and malondialdehyde-modified LDL in men. Am J Clin Nutr. 2005 Jan;81(1):122-9. Rains, T.M., et al. Antiobesity effects of green tea catechizes: a mechanistic review. J Nutr Biochem. 2011 Jan;22(1):1-7. Son, M.J., et al. Aspalathin improves hyperglycemia and glucose intolerance in obese diabetic ob/ob mice. Eur J Nutr. 2013 Sep;52(6):1607-19. Imran, A., et al. Exploring the potential of black tea based flavonoids against hyperlipidemia related disorders. Lipids Health Dis. 2018 Mar 27;17(1):57. Park, M., et al. Antibacterial activity of -gingerol and -gingerol isolated from ginger rhizome against periodontal bacteria. Phytother Res. 2008 Nov;22(11):1446-9. Chang, J.S., et al. Fresh ginger (Zingiber officinale) has anti-viral activity against human respiratory syncytial virus in human respiratory tract cell lines. J Ethnopharmacol. 2013 Jan 9; 145(1):146-51. Ficker, C.E., et al. Inhibition of human pathogenic fungi by ethnobotanically selected plant extracts. Mycoses. 2003 Feb;46(1-2):29-37. Mashhadi, N.S., et al. Anti-Oxidative and Anti-Inflammatory Effects of Ginger in Health and Physical Activity: Review of Current Evidence. Int J Prev Med. 2013 Apr;4(Suppl 1):S36-S42. Chuarienthong, P., et al. Clinical efficacy comparison of anti-wrinkle cosmetics containing herbal flavonoids. Int J Cosmet Sci. 2010 Apr;32(2):99-106. Sebastian, R., Raghavan, S.C. Endosulfan induces male infertility. Cell Death Dis. 2015 Dec;6(12):e2022. Kwack, S.J., et al. Mechanism of antifewtility in male rates treated with 3-monochloro-1,2-propanediol (3-MCPD). J Toxicol Environ Health A. 2004 Dec;67(23-24):2001-11. Please send me posts from Hypothyroid Mom. I am very interested in this! Great article! I love holistic methods and trying out alternative medicine. Tea is definitely something that I incorporate into my diet daily. I’ve also recently been taking supplements to promote gut health and keep my thyroid hormone balance regulated. I get my supplements from Cedar Bear! A while ago you listed the parts of the body affected by hypothyroidism with subsections for each. It was quite long and I thought I saved it but apparently did not. Where can I find it to show to my spouse so he has a clearer understanding of what I’m dealing with.